I did it! 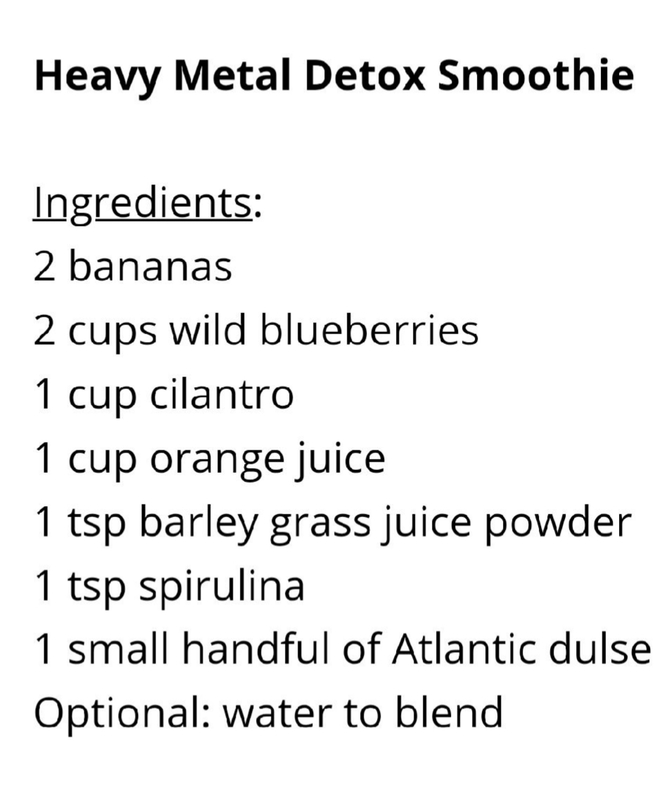 Today I started my first day of a Heavy Metal Detox protocol that involves using a smoothie that helps to carry the heavy metals out of the body. The select combination of ingredients together, act as a team. Each one holding the metals and passing them along on their way out. My first sips were hmmm but by the end of the jar I was at mmmmm, which makes me very happy. Heavy metals, such as mercury lead, cadmium, and aluminum, accumulate in the body over time and are suspected of triggering dangerous conditions like heart disease, thyroid problems, dementia, neurological conditions, autism, infertility, birth defects and even bi-polar! One of my favorite sources for stuff like this is Anthony Williams, The Medical Medium. This was the recipe I did today and here is a link to his blog post on it. I really feel this will be easy to add into my daily routine. The most challenging part will be making sure I always have enough cilantro and fresh or frozen WILD blueberries on hand. The blueberries must be wild. I will touch on that in another blog post in the future but just trust me on this one. Someone today asked me what lead me to want/need to start doing this? My answer was that I suspect we all have been exposed to these heavy metals and that it is just a good idea to do. 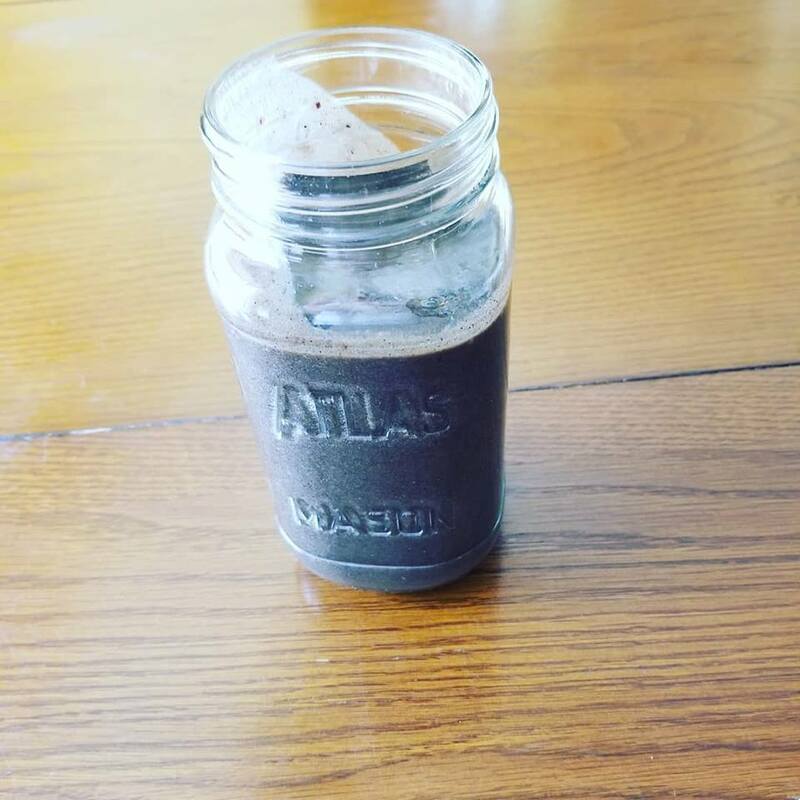 🙂 And you never lose when you are adding in healthy ingredients into your diet, like those that are in this smoothie. MaggieHolbik.com is a Life & Nutrition Coach who is evolving as she goes along her journey…. every day working at adding in more good, learning … always learning, and helping people as much as she can! One of her greatest joys is empowering people to make personal change for betterment of their body, mind and spirit. Maggie offers individual coaching, group coaching, workshops and also does speaking for organizations and groups interested in offering health information for their members or employees. Contact Maggie to learn more about her services for yourself or your organization.